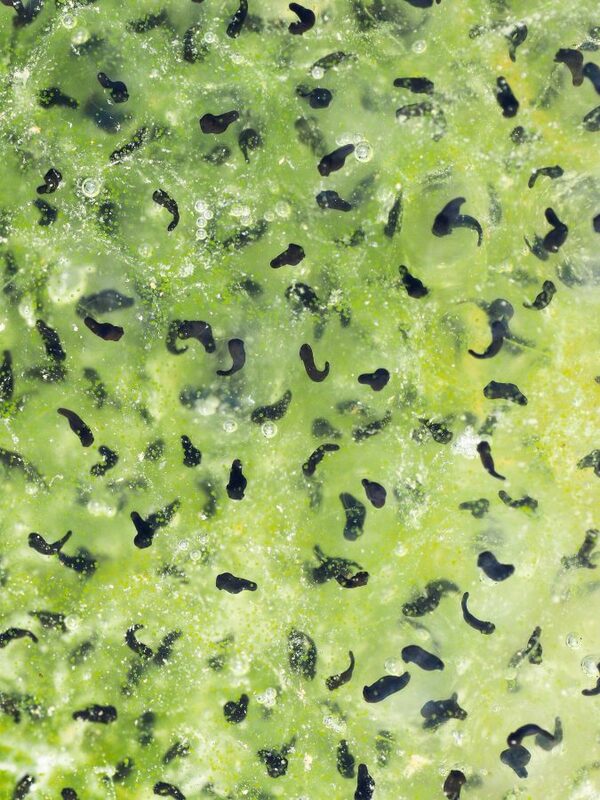 These stunning pictures of frogspawn beginning to come to life give a first glimpse of spring. 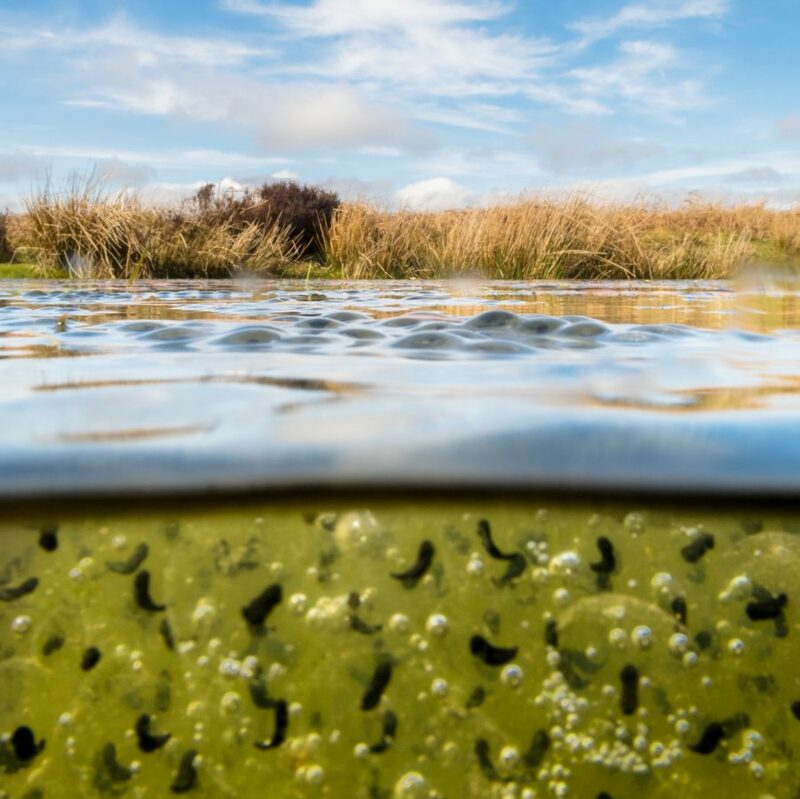 Wildlife photographer Andrew Fusek Peters spent hours crouched in 3ft-deep bog pools to capture the shots of the spawn floating just below the surface. 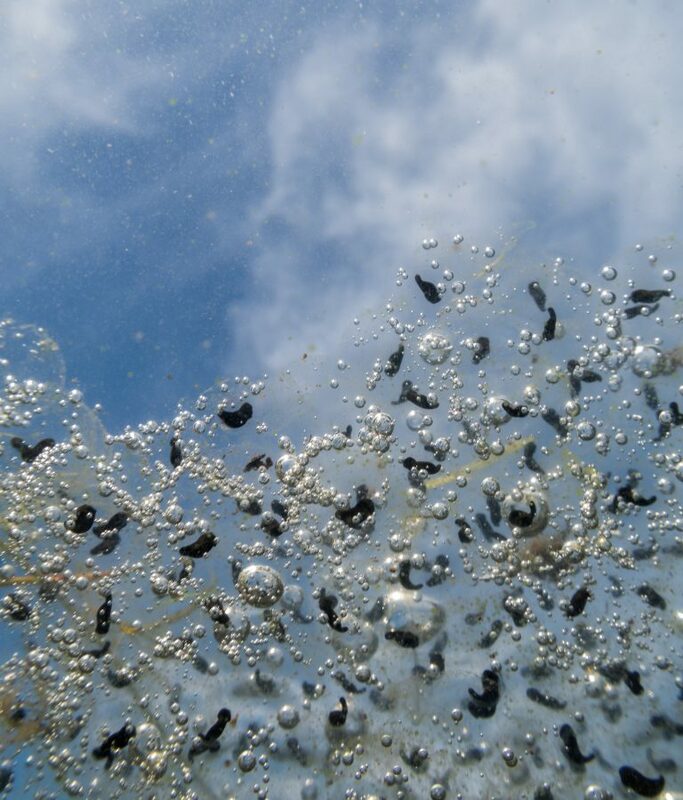 The spawn are beginning to show signs of movement, and within days will turn into tadpoles as they take their next step towards becoming fully-grown frogs. Andrew estimates there are thousands of the frogspawn contained in “clumps” in bog pools in the National Trust’s Long Mynd plateau, part of the Shropshire Hills. He took the photos on Wednesday (20/3) afternoon. Andrew, 53, from Lydbury North, Shropshire, said: “It is entirely an indicator of spring. “I was so happy when I saw them. “I think frogs are lovely, they are gorgeous. “I think frogspawn is magical. “There are thousands and thousands of individual spawn in the bog pools. A lot will get eaten up. “The frogs come up from the valleys and lay frogspawn in the bog pools. “I went into the water with my underwater camera. I was half and half out of the water. “I wanted to show the context, show the habitats, show the surroundings. “I didn’t have underwater gear, I just put my arm in the water. “There was a little bit of activity and movement among the frogspawn. They are starting to perk up. “They were laid a while ago. They have been in that form for around two weeks. “They will start turning into tadpoles in the next few days.